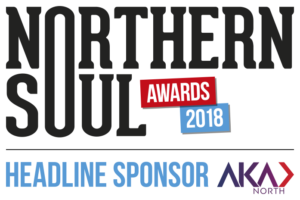 She’s just enjoyed one of her busiest years with projects including Age Before Beauty, a new TV series written by Debbie Horsfield, guest roles in The Good Karma Hospital and Kiri, the radio series Love in Recovery and a movie Walk Like A Panther. Strong roles for veteran actresses can be difficult to come by as writers struggle to create realistic, mature characters. I wonder if Warrington-born Johnston (now aged 74) has noticed any progress in the types of parts on offer? “Things are improving but it’s been a long time coming and it’s not there yet. There’s still an awful lot of cliched stuff. I was watching something the other day and thinking ‘gosh this is so bad’. It was old women in a group, dressed very stereotypically, saying things like ‘we’ll make you a nice cup of tea and a drop scone’. I’ve never made a drop scone in my life. You only have to look around to see how women actually are in their 70s and 80s. We have lives and dress fashionably and whimsically and eccentrically. You should absolutely grow old disgracefully and your grandchildren will appreciate it too because you sort of go down to their level. 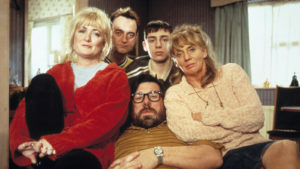 This year marks the 20th anniversary of The Royle Family, the ground-breaking comedy created by Caroline Aherne, Craig Cash and Henry Normal. The series gave Johnston perhaps her most iconic role as Barbara Royle, the long-suffering, kind-hearted Mum. It’s clear that the show was a joyful experience and that the loss of Aherne in 2016 is still deeply felt. The Royle Family changed the sitcom landscape forever with its intimate, fly-on-the-wall style. Episodes rarely moved away from the sitting room sofa and the family sitting watching television. Achieving what the creators wanted, however, was not without its early struggles, as Johnston recalls. “Caroline, Craig and Henry had to fight very hard from the outset because they didn’t want the usual camera set-up or canned laughter. Even at the first read through, ‘suits’ from both Granada and the BBC were still arguing about giving the team what they wanted. We shot a pilot that was so bad we were never allowed to see it. Caroline buried it in the garden. We went back a month later and changes were made, and things took off from there. It really moved comedy forward and people started realising that you didn’t have to have canned laughter or a studio audience to make things work. However naturalistic the series appeared, it was all meticulously planned and rehearsed. Johnston is no stranger to experiencing creative, cultural phenomena. In the 60s she witnessed first-hand the initial stages of the British music explosion. “As a teenager in Liverpool, I worked in the tax office. I hated the job but The Cavern was nearby and we used to go there at lunchtimes so see The Quarrymen before they became The Beatles. I practically lived in there. It was more of a jazzy, beatnik type of place at the time. I got a job in Brian Epstein’s office which was fantastic, and I became great friends with Paul McCartney. All these experiences must surely earn Johnston huge credibility with her grandchildren? Or so you’d think. Next up for Johnston is the aforementioned new BBC drama Age Before Beauty, starring Robson Green and Lisa Riley. The series is about a family who run a beauty salon in Manchester’s Northern Quarter. Despite a career full of highlights, Johnston still suffers from the classic actor’s curse – the fear of work offers drying up. “There’s always that period of ‘I’ll never work again, that’s me done, I’m hopeless and nobody wants me’,” she confesses. “You have a better way of dealing with it now than when you’re younger. You don’t lose confidence and go into depression, but you do fret your career could be over. That never leaves you but that’s an actor’s life. There’s nothing, then suddenly something appears and you’re off again. The likes of June Whitfield, June Brown and Betty White have shown that age is no barrier to working in primetime television. The film world also continues to embrace the holy trinity of Dames – Dench, Mirren and Smith. In Downton Abbey, Johnston played Denker, lady’s maid to Dame Maggie’s formidable Dowager Countess. Perhaps young actors have felt the same type of nerves when working with you? Age Before Beauty begins later this month on BBC1. 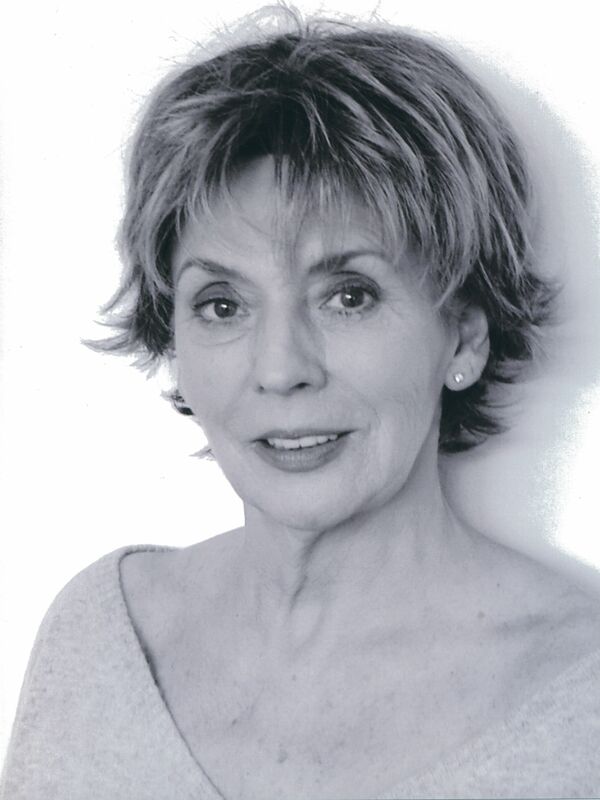 Sue Johnston is appearing at HOME, Manchester for The Royle Family at 20, part of the Pilot Light TV Festival, showing on May 5, 2018 at 2pm.